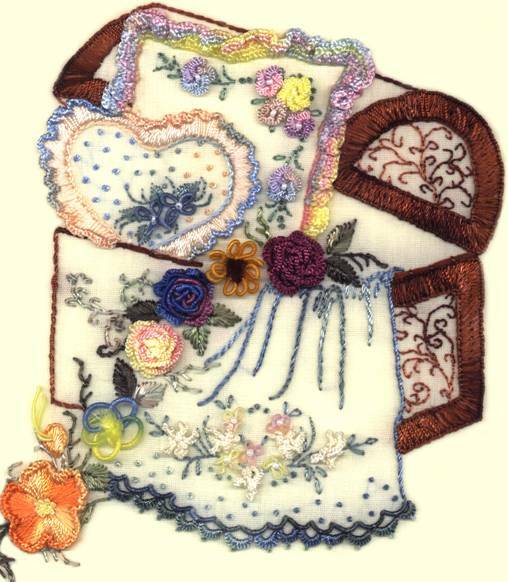 7.5 x 7" Fabric Size 14" x 14"
Intermediate level Brazilian Dimensional Embroidery Pattern. The directions assume you have the basic knowledge of these stitch techniques: Straight stitch, Outline stitch, Stem Stitch, Couching Stitch, Cast-On Stitch, Bullions, French Knots, Drizzle Stitches, Satin Stitch, Alternating Satin Stitch, Lazy daisy Stitch, Detached buttonhole stitches, Double-sided blanket stitch. 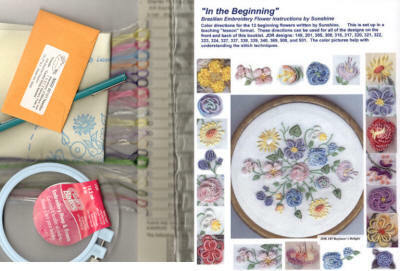 ♥Includes screen printed design on Trigger fabric (water soluble ink), directions, color picture and thread list. 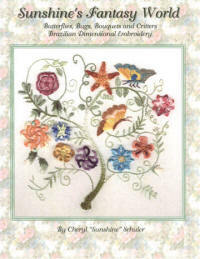 JDR Brazilian Embroidery by Ria Ferrell, Sunshine’s Treasures, Book 1 or Brazilian Embroidery 101 by Cheryl “Sunshine” Schuler, and Leafs by Sunshine, Brazilian Embroidery by Barbara D. Johnson. Quick list: Lola 012, 013, 014, 019, 023. 026, 072, 119, 120, 142, 311, 407. Please feel free to choose your own colors!